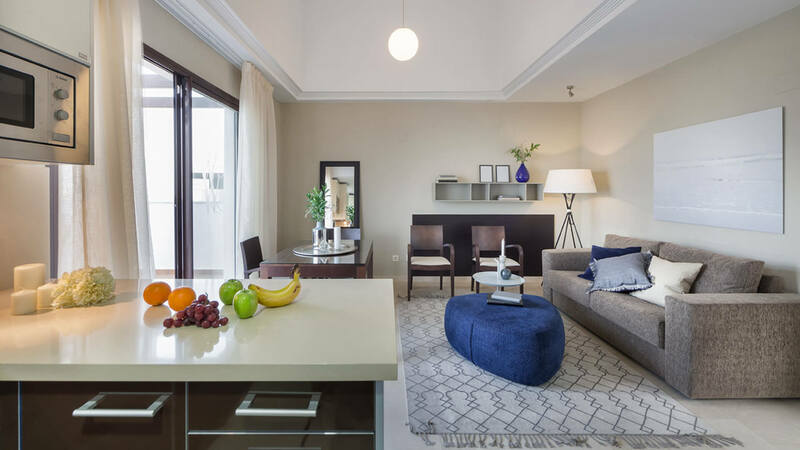 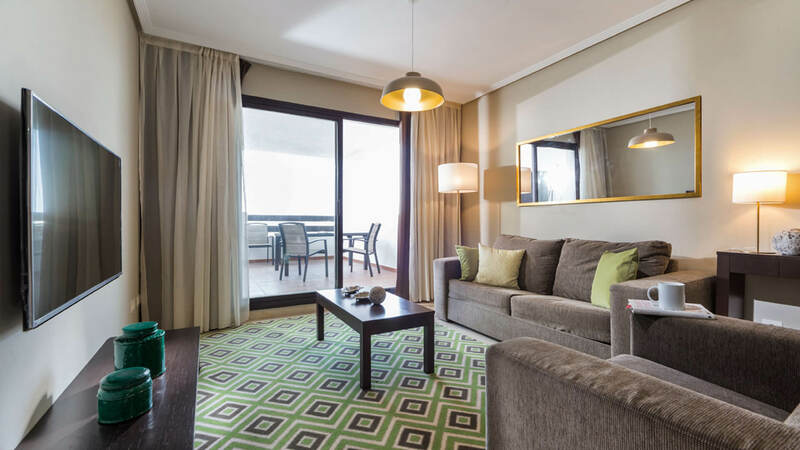 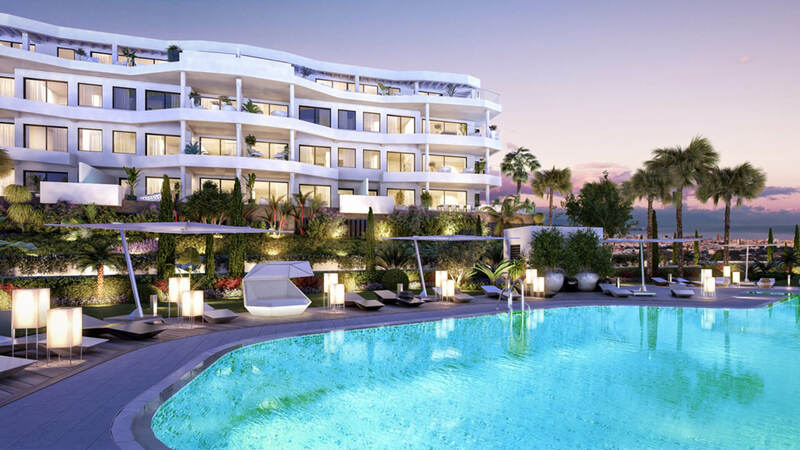 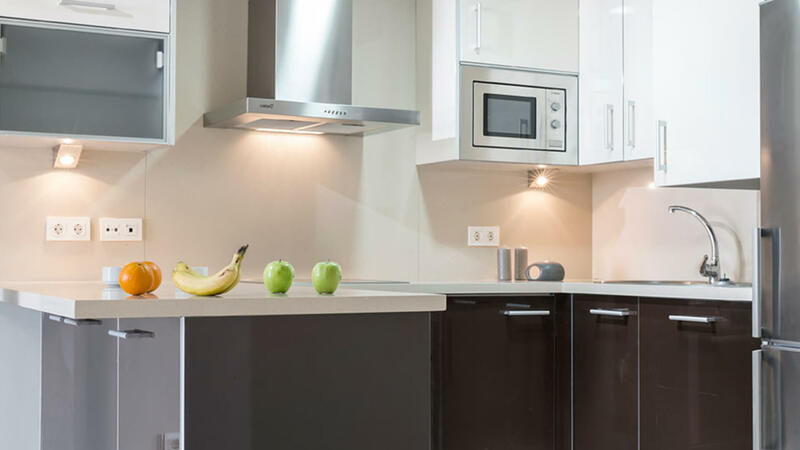 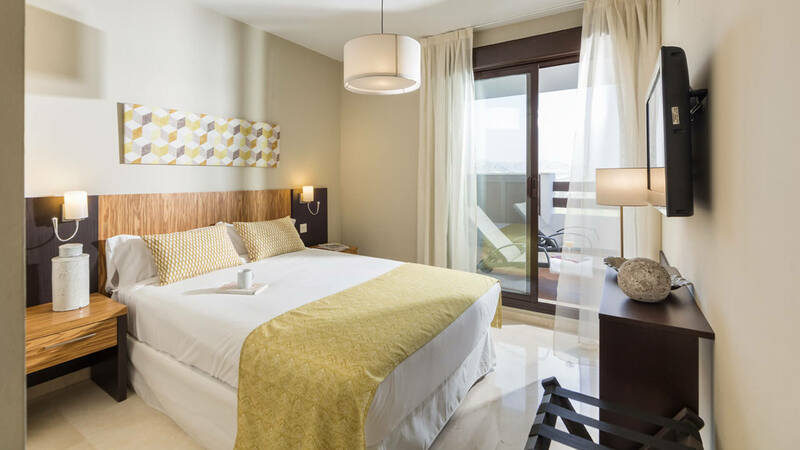 With all the services becoming a 4-star hotel, including luggage storage service for all your baggage, car hire, transport to the beach and the city, event tickets, cleaning, laundry, restaurant reservations, and more. 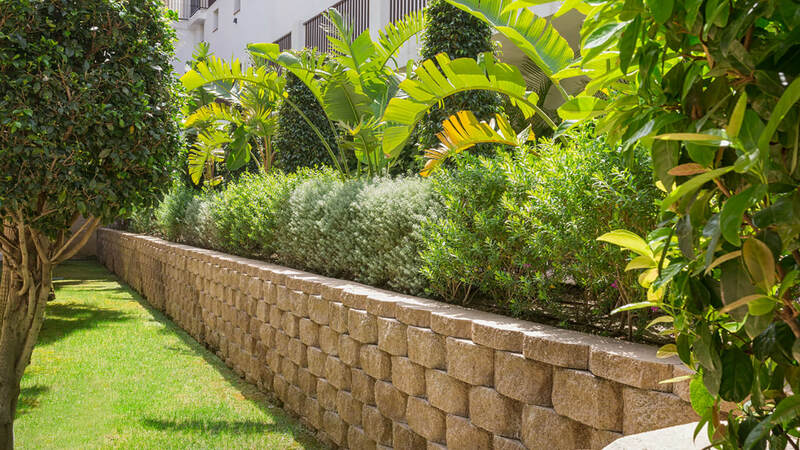 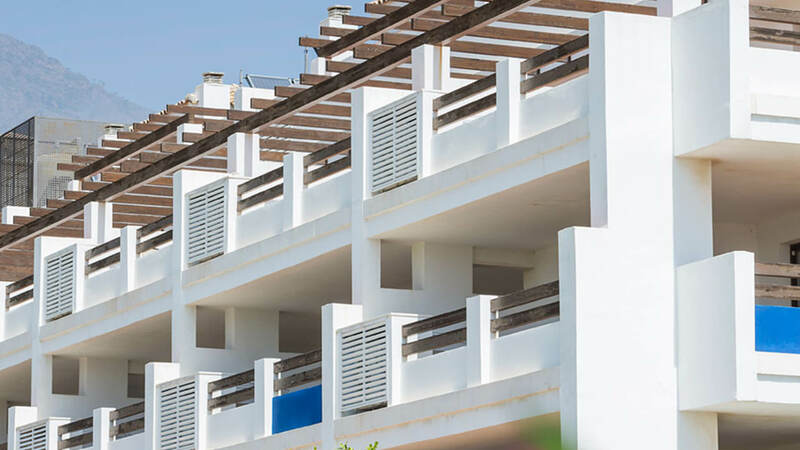 The owner received a fixed income of 5% per annum for the first 3 years and from the 4th year onwards a profit share with a guaranteed minimum. 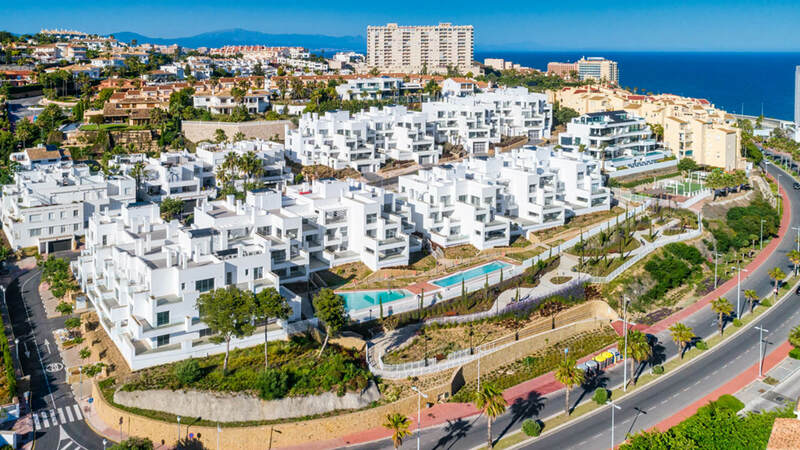 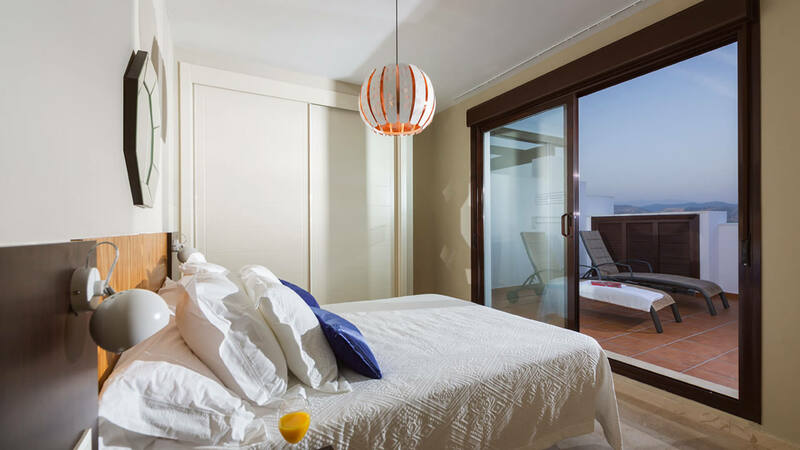 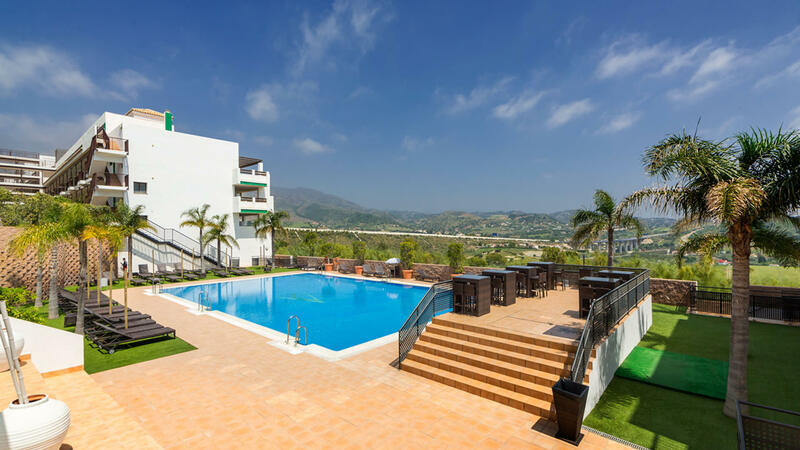 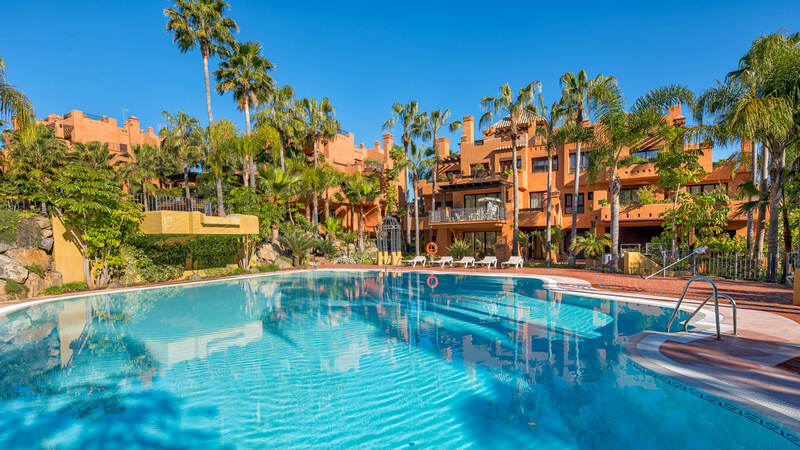 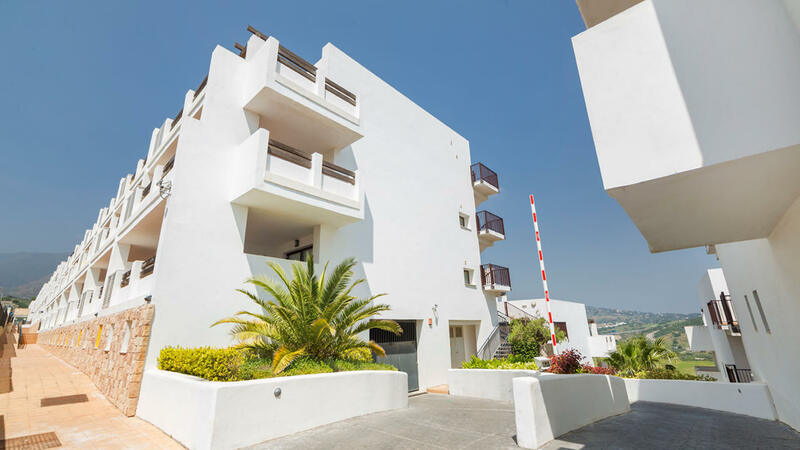 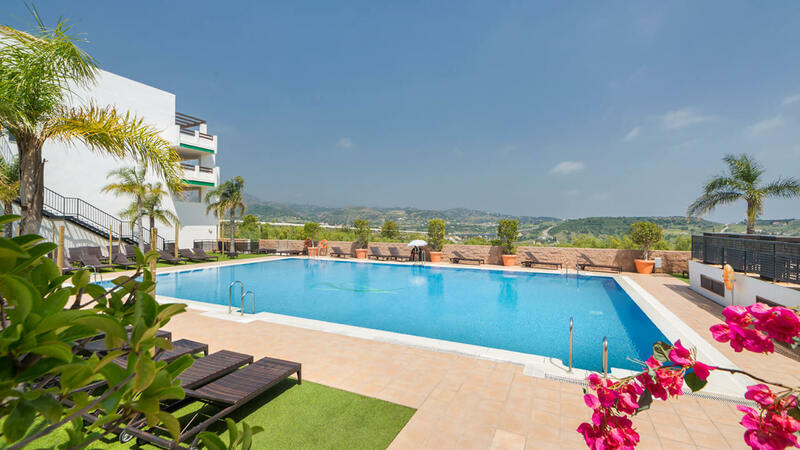 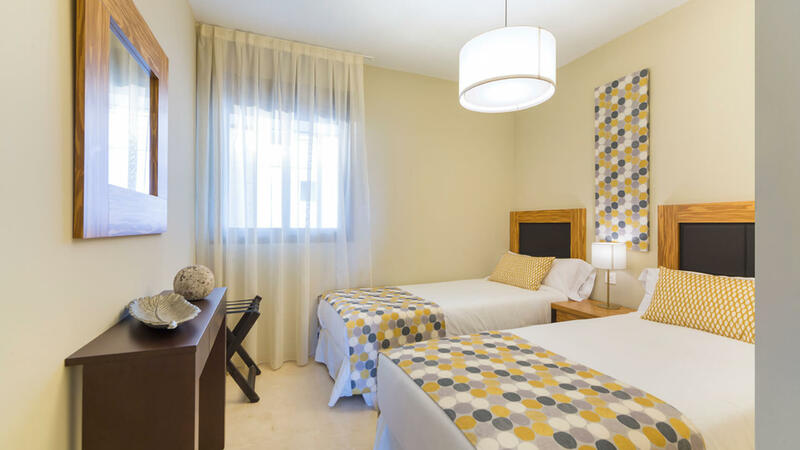 The apartments are strategically oriented and elevated to give great views and the make the most of the Spanish weather. 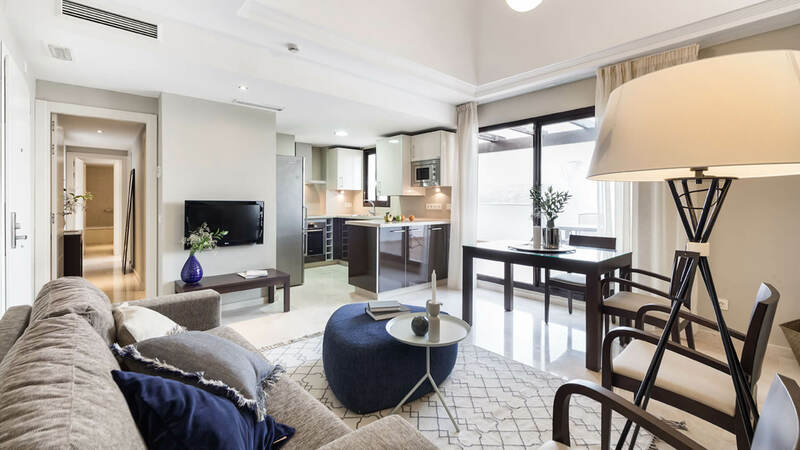 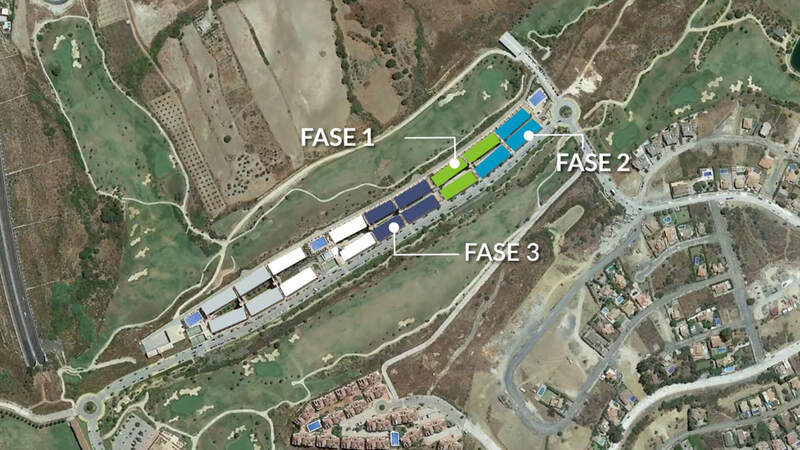 There are four apartment layouts, and a choice of 1 or 2 bedrooms. 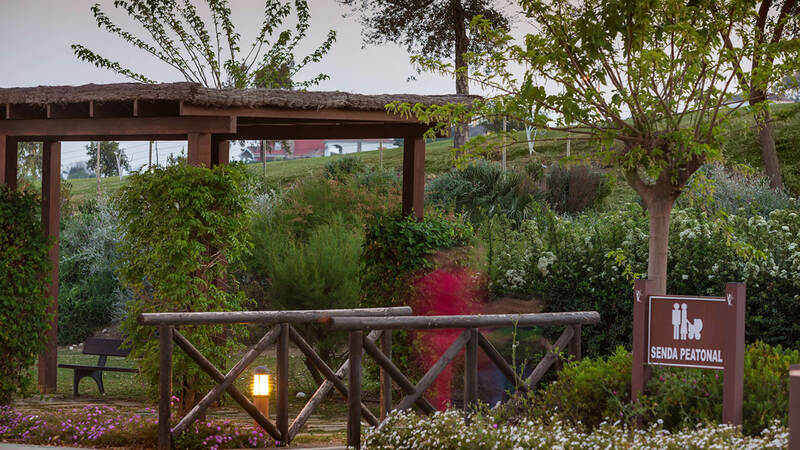 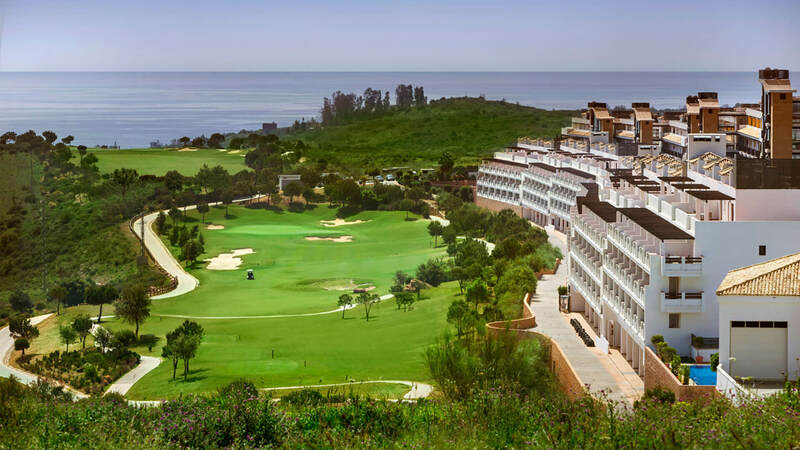 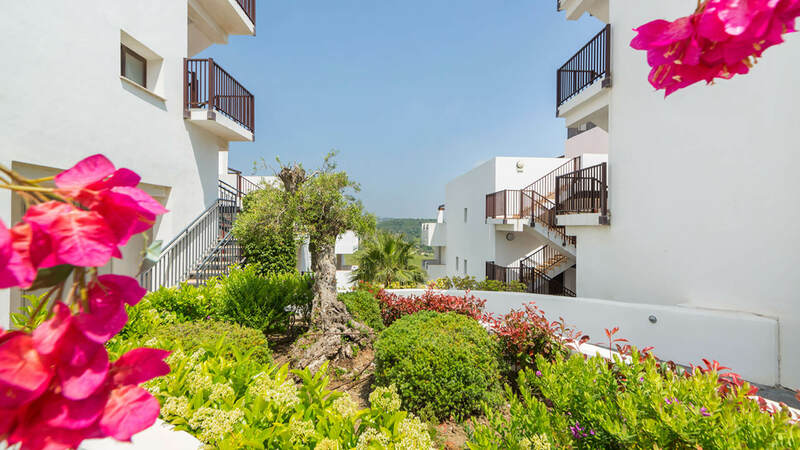 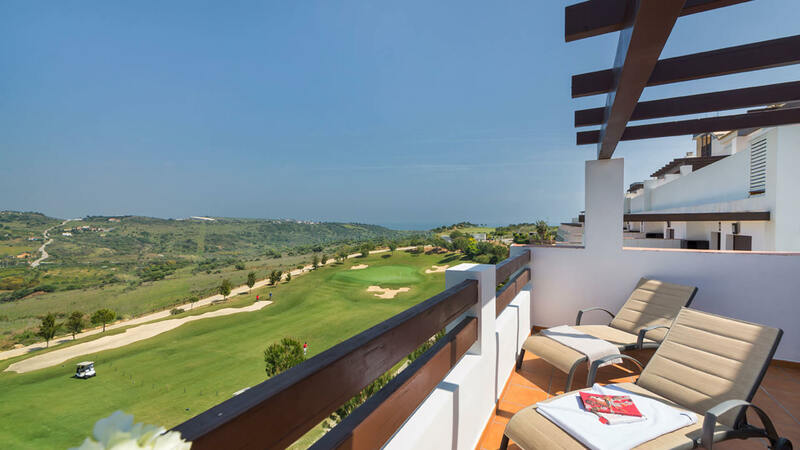 They all have a spacious terrace with views over the golf course and towards the Mediterranean Sea.